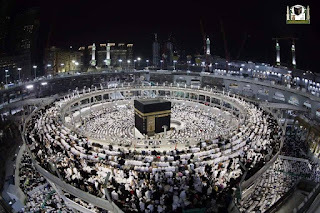 In November 2015, the General Presidency for Affairs of Haramain announced that Expansion in Masjid Al Haram will be completed before Ramadan 2016, and the Temporary Mataaf Bridge which was erected in 2013 to accommodate the Pilgrims while most part of the original Mataaf was under construction to reshape the whole area. The GPH had also announced that the Mataaf Bridge will be Dismantled starting from February 9th, but due to In completion of the King Abdulaziz Extension, the roof cannot be opened for the pilgrims as the Extension is in path between where pilgrims make Tawaaf. Hence the GPH announced on February 10th, in a press release : " The Removal of the Temporary Mataaf Bridge has been suspended until further notice"
However no reason was provided for the suspension but our sources in the GPH confirmed it was due to the in-completion of the King Abdulaziz Extension.